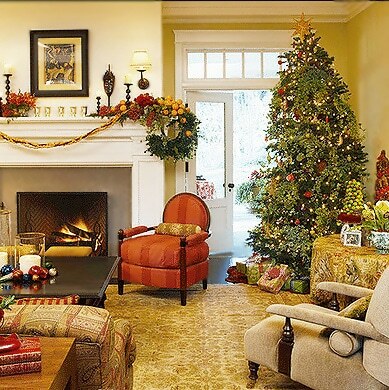 A new rug in the living room or one in every room is the perfect way to spruce up your home this next holiday season. Not only will it add the sparkle that comes with a new acquisition to your home decor, it will also make your room warmer in the coming winter. 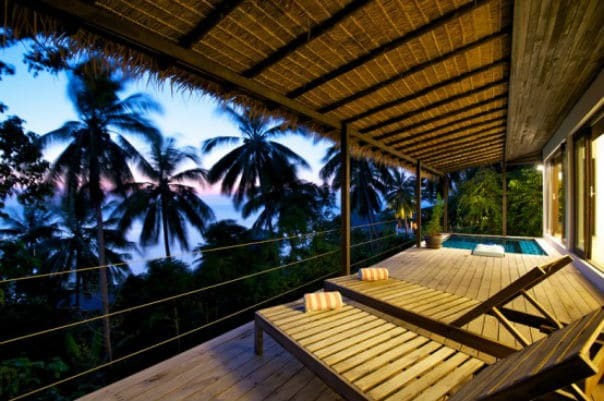 But for that you need to buy the right rug to complete your home decor. Antique rugs are expensive; but if money is no object, then Christmas is the perfect time to buy one. 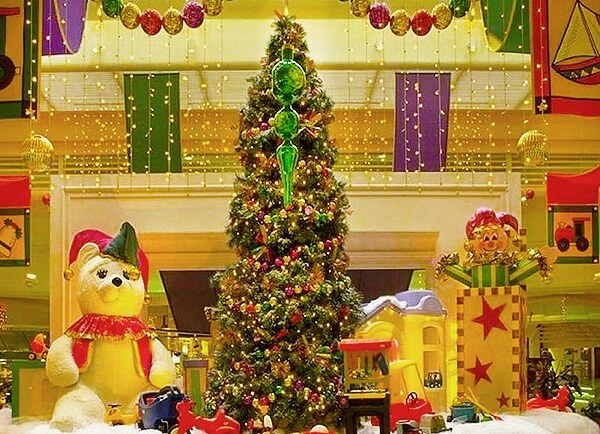 The addition of something of sublime beauty to your home will really light up your Christmas. Made of the finest materials and having exotic patterns and motifs that tell stories from times gone by, antique rugs add a new depth and dimension to your interior decorations. Since their value continue to rise with age, antique rugs are also a good investment. If you want only the best, then go for Turkish, Persian and Mughal rugs. As the whir of the holidays and the new year inch closer, we’ve put together a list of red and green rugs for the most dedicated and savvy of home decorators. 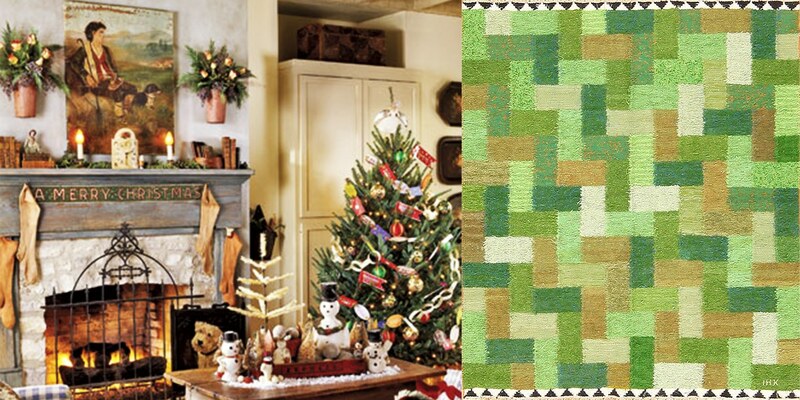 Finish off your holiday decorations with festive green and red rugs that look good year round. It’s no coincidence Pantone picked greenery as their color of the year for 2017. Rugs in this color will undoubtedly shine all throughout 2017 and for years to come! 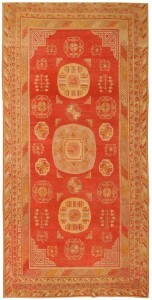 Search for rugs on Nazmiyal’s site. 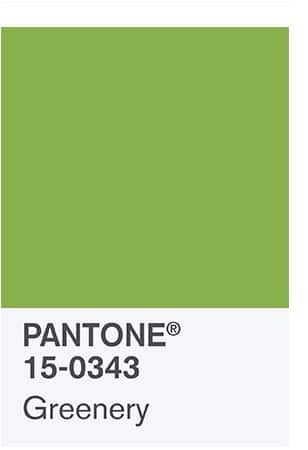 Pantone’s color of the year: Greenery. See beautiful green antique rugs in this blog. 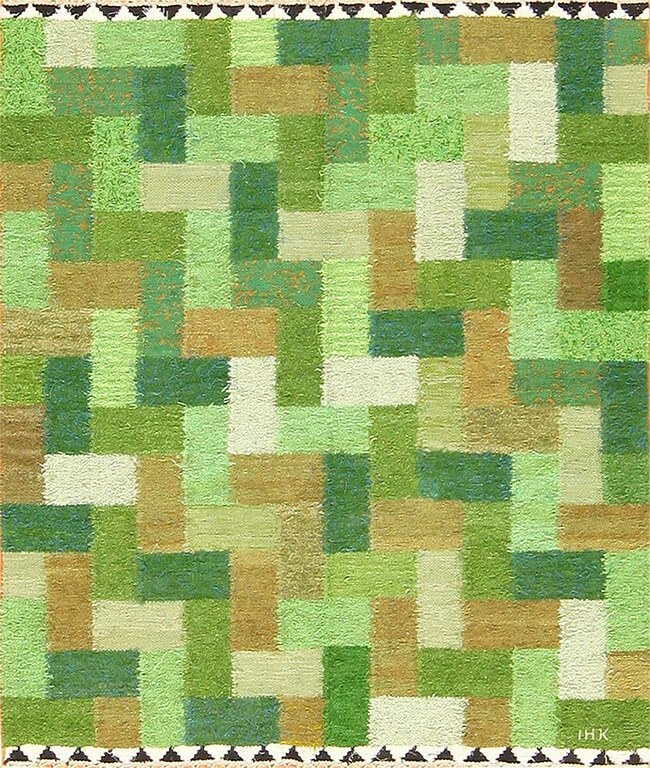 Fantastic green antique rug by Ingrid Hellman from Nazmiyal’s Scandinavian Swedish collection. For something fantastically, unapologetically mid century modern, you cant go wrong with this Scandinavian rug by Hellman Knafve. 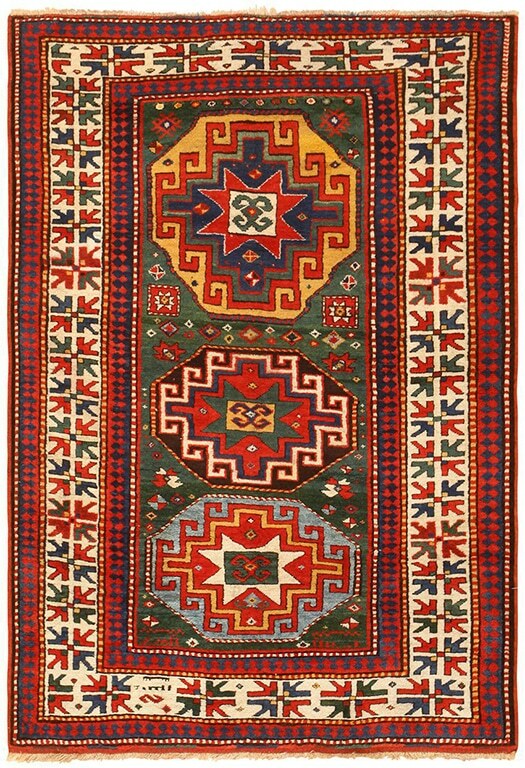 The patterns are arranged with horizontal and vertical rectangles animating the rug. The different shades of green remind viewers of a natural park or woodland scenes. This is a great green colored Scandinavian rug for a wonderful way to include a natural feel of greenery this holiday season. 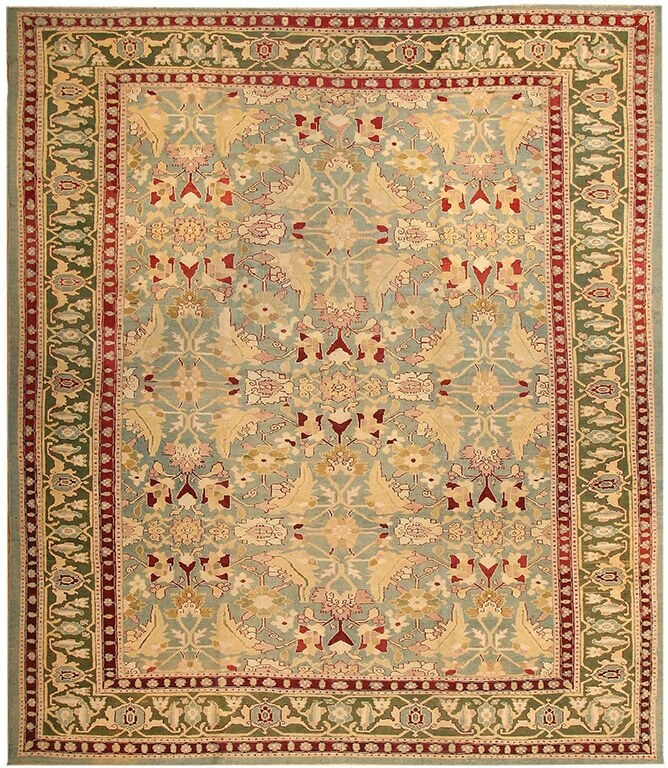 Green Antique Rugs from Nazmiyal’s Swedish Scandinavian Collection Make A Statement This Holiday. This amazing green antique rug from Donegal comes from twentieth century Ireland. 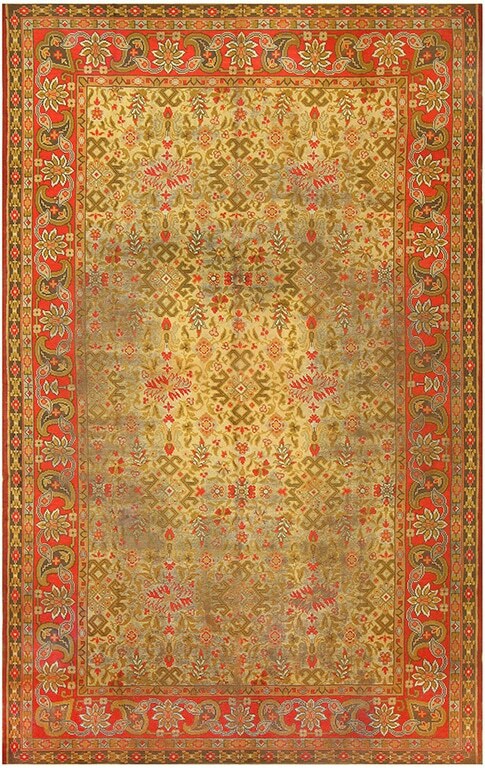 Using a sophisticated palette of olive green, rich reds and bright patterns, this is a rug that will be the center of attention during the season of lights and celebration. This green antique rug comes from our shabby chic collection and has been aged and weathered to perfection. Because of it’s well-loved and lived in look, it would look great in a woodsy rustic home, by a table full of food, a warm fireplace and surrounded by people you love. Green Antique Rug with a rich deep green throughout the rug. 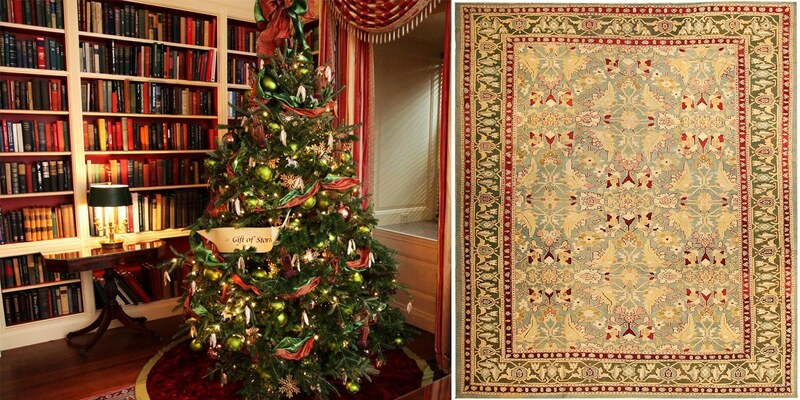 For a classy and classical Christmas, decorating with an antique Persian rug never fails. 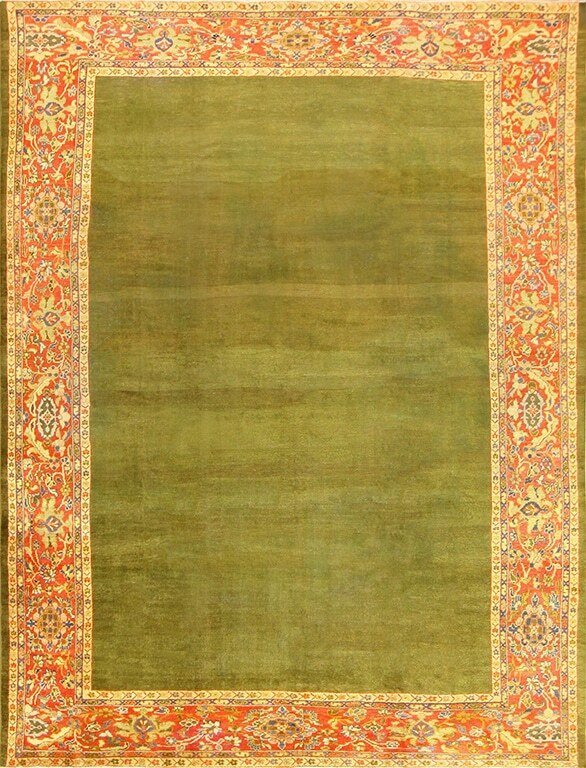 This rare Persian Sultanabad rusty red and green antique rug is woven with a rich green color that takes up almost the entire rug. This is the rug you place right by the tree and the fireplace. It’s a rug that encourages you and your family and friends to sit on it, exchange holiday gifts, stories, and enjoy some quality time with those you love while sipping some hot cocoa together. This burgundy red and green antique rug from Agra India is a lovely and homely carpet. The grand scale of of the fish / mahi designs create a visual feel of expansion and peace. The intertwining flowers and vines are calming. The use of olive green and light green creates the ultimate rug for relaxing. This is a rug to place in a living room (or any room for that matter) where books are on the shelves and candles flicker by the window. 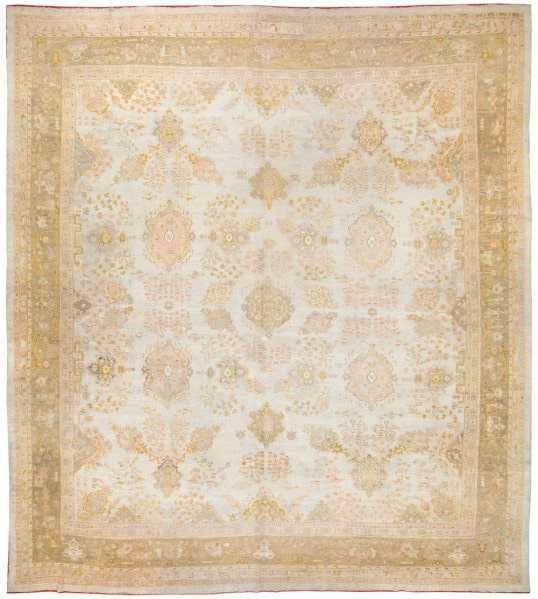 For creating a getaway place in your own home, while still celebrating the season quietly, this is the antique Indian rug for you. The eye-catching tribal designs of this bright red and dark green antique Caucasian Kazak carpet add layers of authenticity to a home. 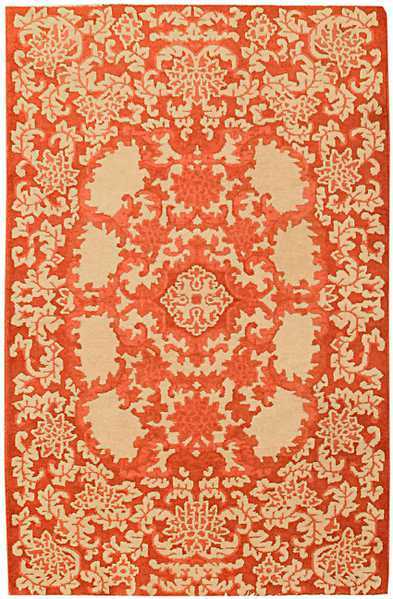 The classical elements and bright reds and greens make it a perfect rug for the holidays. From the inward pointing arrows, to the three large captivating emblems, every aspect of the rug draws attention from viewers. This is a beautiful conversation-starting antique Caucasian rug for a wonderfully bohemian and sophisticated Christmas. 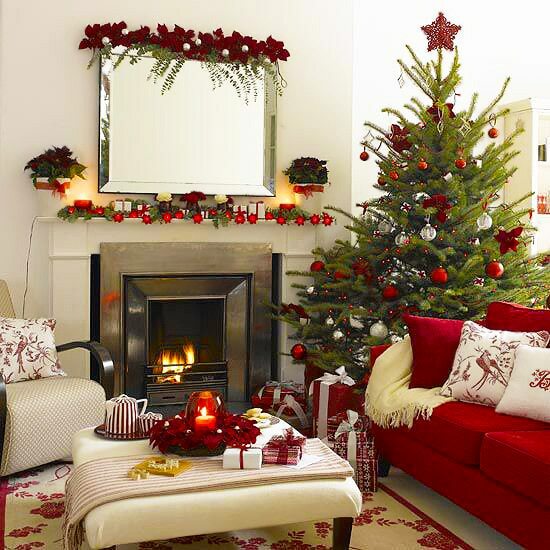 Holiday Interior Design Makeover – Are you giving your interior design a makeover for Christmas or the New Year? Then you may want to consider changing out or upgrading your antique rugs as well. Rugs play an important role in interior design so choose antique carpets that can transition from the holiday season into the New Year. When matching antique rugs with your interior design, there are many important factors come to consider. 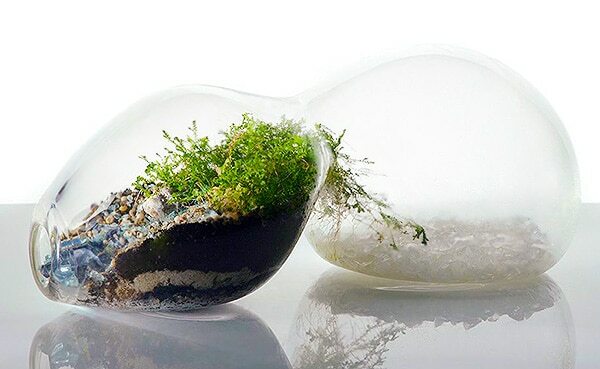 The color scheme, the shape, location but above all else, choosing a piece you find a real connection with. With the Christmas season in full swing, the time has come where one can’t walk down the streets of New York City without being fully accosted by the smell of pine needles from Christmas tree vendors on what seems to be every corner. The yuletide is here and holiday trimmings are in order. 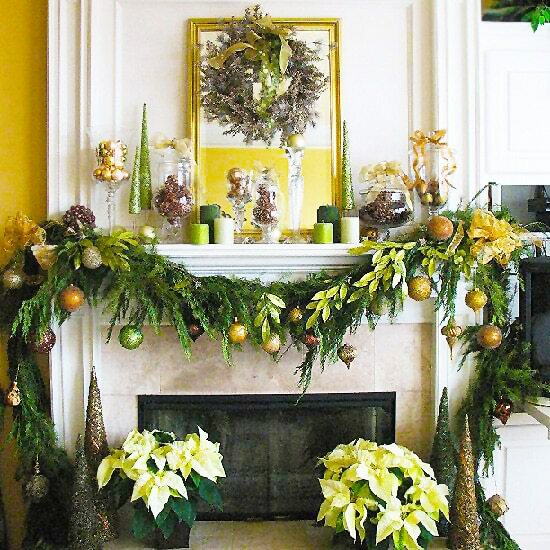 One of my favorite areas of Christmas holiday decor is undoubtedly the fireplace. 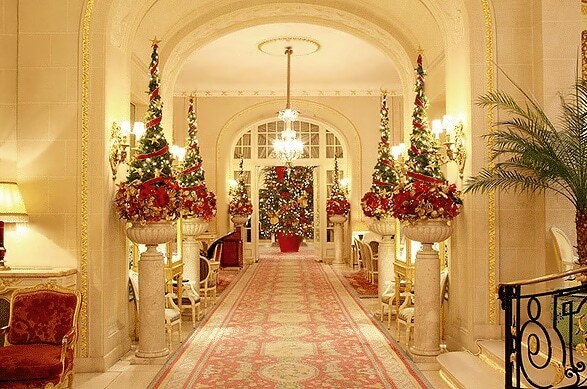 Through their heated design, holiday decor is hotter than ever to welcome Santa through some serious styling. 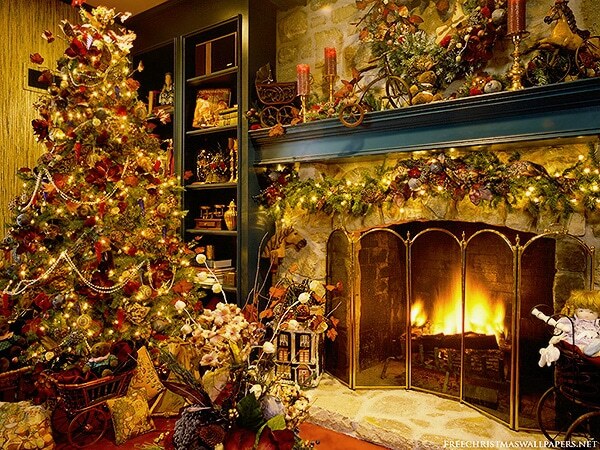 The fireplace, not only a portal for the jolly old man toting presents in a Narnia-esque sack of goodies that never ends, but is a place for family gathering to share the holiday spirit, drink a delish boozey spirit, and bask in the warmth on a cold winter’s night. Adorning this festive centerpiece has become an important staple in designing one’s home for the holiday. 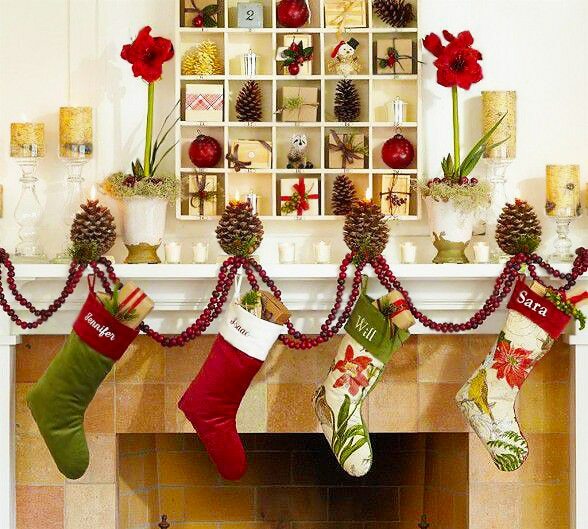 Garland, lights, stockings, pine cones are traditional pieces that bring the season into light. Themed decor, though, is making some serious splash for this season. 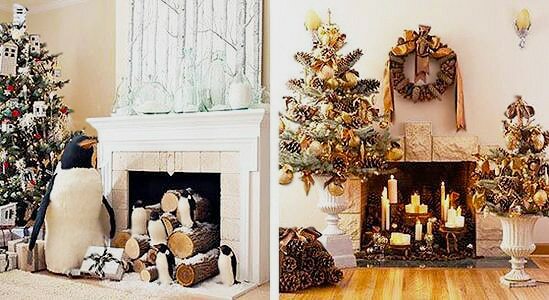 Whether, one is rocking around the Christmas tree fully clad an a monochromatic color scheme or adding pizzazz with an arctic circle-esque inspiration that would draw all the penguins from North Pole, the fireplace and its decor have proven to be classic and traditional staples for decadent holiday decor and interior design. Ask yourself whether you want the rug to be a feature focal point or to blend into the background of your existing interior design. For a dramatic statement, go for bold contrasting colors or juxtapose different patterns to create a focal point. For a unified look, select key, neutral colors in your interior and work with those. Rectangular rugs are easy to work with. You can place them in any room or space in your house, including the corridor hall and staircase. Square rugs can also be used as a highlight or feature in a room. An interesting option, if you use a square rug, is that you can use multiple pieces placed alongside each other to create patterns. They can also be arranged in the same way as tapestry wall hangings. Rugs come in many different sizes; so it is important to choose the right size for the room as well as the decor. In the living room, a large rug covering most of the floor creates a warm, comfortable and welcoming effect. Whereas a smaller rug that sits under the sofas, or in the space in front of or between the sofas, creates an elegant and modern effect. In the dining room, an antique area rug can define the space by providing a frame for the dining room setting. In the bedroom, you could use either a square rug under the bed to create a perimeter around it or place small rectangular rugs on either side of the bed. Like these rugs? Tell us how you would decorate with them in the comments below! 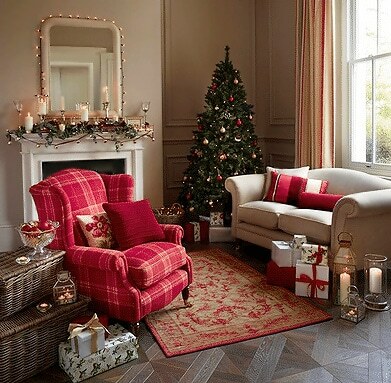 See more Interior Design blog posts about Red And Green Antique Rugs To Decorate With This Holiday was published by by Nazmiyal Antique Rugs.